Are You Paying Too Much For These Monthly Services? Most of us have a number of monthly services that we pay for each month that provide the objects and services we desire. 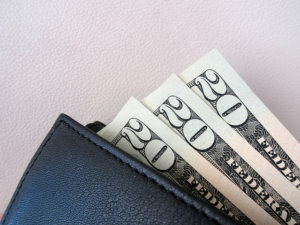 These monthly expenses often require us to pay what adds up to a significant amount of money over the course of a year. This makes it important for us to get the best value for the money that we are spending. Here are some tips that can help you lower the amount that you pay each month for some of the most common monthly services. Hundreds of thousands of people have their favorite magazines delivered to their homes each month, paying hundreds of dollars each year in subscription fees. Many of these magazines go unread and are tossed in the trash when they begin to pile up in the home, eventually ending up slowly decaying in a landfill. To save money on these subscriptions, consider reading these magazines online. A subscription to an online magazine or newspaper is often cheaper than having a physical copy sent to your home and you can read the articles that you want without having to deal with the paper waste later. While it is important for you to keep an eye on your credit score and credit report, many people are paying way too much to monitor their credit. Companies offering credit-monitoring services often charge a stiff monthly or annual fee for the ability to review the information held on you. Even worse, what they are showing you may be their own interpretation of your creditworthiness, not your actual FICO credit score. Instead of paying for these credit monitoring services, get one free copy of your credit report from each of the three major credit-monitoring bureaus each year from www.annualcreditreport.com. By spacing them out throughout the year, you can get a good picture of your credit standing and estimate what your credit score would be. Cable television is a good example of a company adding a whole bunch of unnecessary things to a package in order to charge you more for it. Many of the people that subscribe to cable television regularly watch less than 40 percent of the channels available to them, meaning they are paying for way more channels than they are actually using. Fortunately, there are a number of options that can provide you with the entertainment that you desire for far less. Subscriptions to streaming services like Hulu Plus or Netflix is less than half the price of a digital cable package and many cable channels offer their popular shows on their company websites for free.